You, Me, and Bubble Tea – A unique tea concept that creates unexpected combinations of flavored iced tea topped with cheese topping or served over edible tapioca pearls "boba", juice poppers, aloe, or fruit flavored jellies. Give the gift of You, Me, and Bubble Tea anytime of year with gift cards in a variety of price ranges. Great for any occasion! A custom You, Me, and Bubble Tea Espresso-Blend, roasted by ABEANTOGO Coffee Roasters! Egg-Free Cookie Dough. Eat it raw, mix-it in your Bubble Tea, top your Mochi Ice Cream, or bake it into Cookies! Bubble Bites, Caramel Dipped Pretzels, Chocolate Covered Oreos and Rice Krispy Treats, and Macarons! 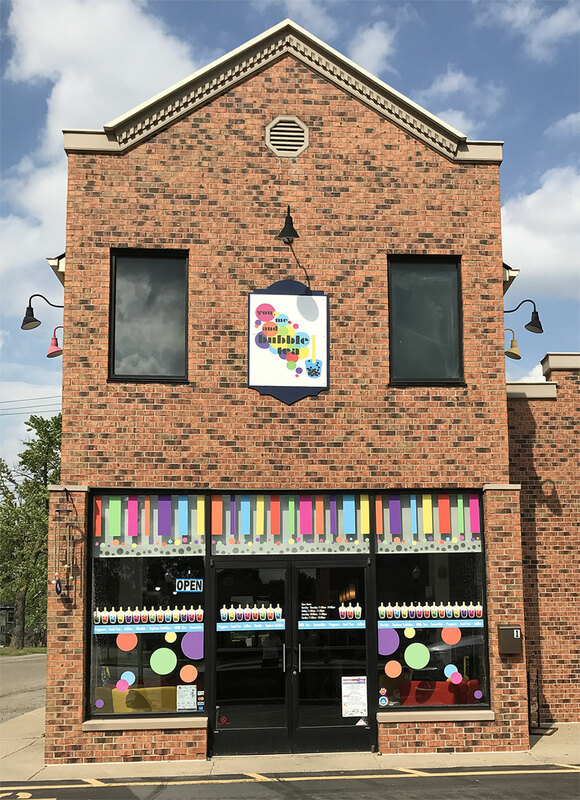 We are a fun, community-oriented, home town business with locations in Auburn Hills and Oxford, Michigan. Stop by and try one of our many refreshing drinks. We have so many combinations to choose from. Try something different each time you come or make your favorite combination and order it exclusively. We can't wait to see you!